The city of Cushing’s existing retail base has grown significantly over the past few years. 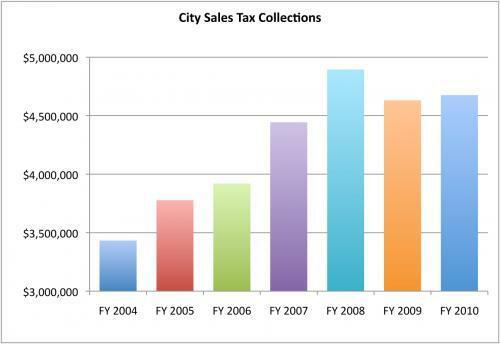 Following a recession year in 2009, the city is on track for increased revenue again in 2010. Cushing functions as a regional hub for the area of central Oklahoma north of I-44 and south of HWY 412 and its core retail businesses are not built on highly discretionary purchases. The local economy has a base in the storage sector of the oil industry, which is less volatile than the production or refining sectors.